There are many native and non-native insects and diseases that affect trees in the Northland. Here are some of the common insects and diseases found in our area, how to tell if they are a problem, and what to do if they are. Emerald Ash Borer – The Emerald Ash Borer (also known as EAB) is native to China and was first discovered in the United States in the summer of 2002 near Detroit, MI. At this time SE St. Louise County is under Emerald Ash Borer quarantine and this is entire area is at high risk of EAB. EAB is a significant threat to our urban, suburban, and rural forests as it kills stressed and healthy ash trees. EAB is so aggressive that ash trees may die within two or three years after they become infested. Pesticide treatment is used to lower the risk of infestation, it is not a guarantee against EAB. Treatments occur every 1 to 2 years and need to last for several cycles to be effective. 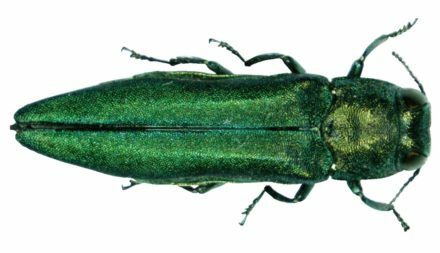 If you are a resident of Duluth and have concerns about our current EAB infestation please continue onto our Emerald Ash Borer page. 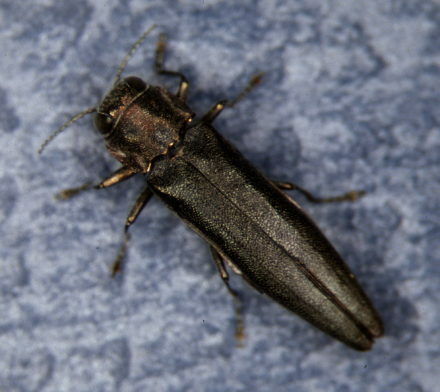 Bronze Birch Borer – is a native species of flathead borer from our region and feeds and reproduces on stressed and dying trees. Many European and Asian species of birch are susceptible to attacks, while native species of birch are more resistant. However, stresses by drought, poor planting, soil compaction, injury to trunk/bark can make our native trees susceptible. The larval stage of the Bronze Birch Borer does the most significant damage to the tree, causing a disruption of water and nutrients. Initial symptoms include branch dieback in the crown of the tree, and thinning leaves, however, a Levy Tree Care technician needs to do a thorough integrated pest management assessment before any treatment takes place. Birch Leaf Miner – is a native of Minnesota and feeds inside the leaves, creating blotch mines, where most of the internal leave area is consumed. This pest affects gray, paper, river and European birch species. 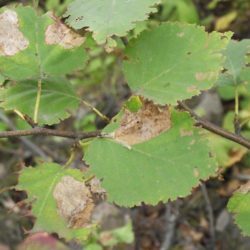 The damage is mostly in appearance to the birch tree, however the Birch leaf miner affect can be exacerbated by drought and do permanent harm. Treatment is most beneficial in the first stage of larval form in early spring, when they are just starting to feed, but this damage is easily overlooked. Levy Tree Care technicians have multiple forms of pest management options when dealing with Birch Leaf Miner. 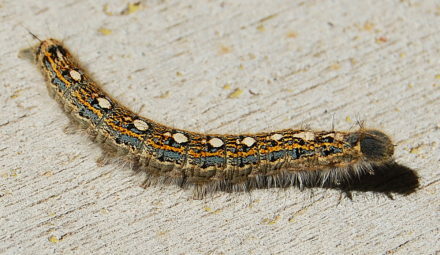 Forest Tent Caterpillar – is a native to North America and one most residents can identify. They consume the foliage of many broadleaved trees (aspen, birch, alder and fruit trees) in our region and once done they move onto other nearby plants. Although this pest is causing defoliation, most of the time trees can tolerate the damage and produce another set of leaves in the season. However, if damage continues for multiple years, and a reduction of growth is noticed this pest can lead to dieback and mortality. Management of this pest are various and can start with simple physical measures and progress to chemical treatment with insecticides. A Levy Tree Care technician can discuss these options with you during a management plan. If you have any questions or concerns please fill out a Consultation Form and a Levy Tree Care staff member will be in touch.